Established by the W.K. Kellogg Foundation, Truth, Racial Healing & Transformation (TRHT) is a national, community-based process to engage citizens in racial healing and catalyze efforts to address current inequities grounded in notions of a racial hierarchy. Based on techniques such as racial healing circles, which were adapted from the practices of indigenous communities, the TRHT framework prioritizes relationship building and narrative change. 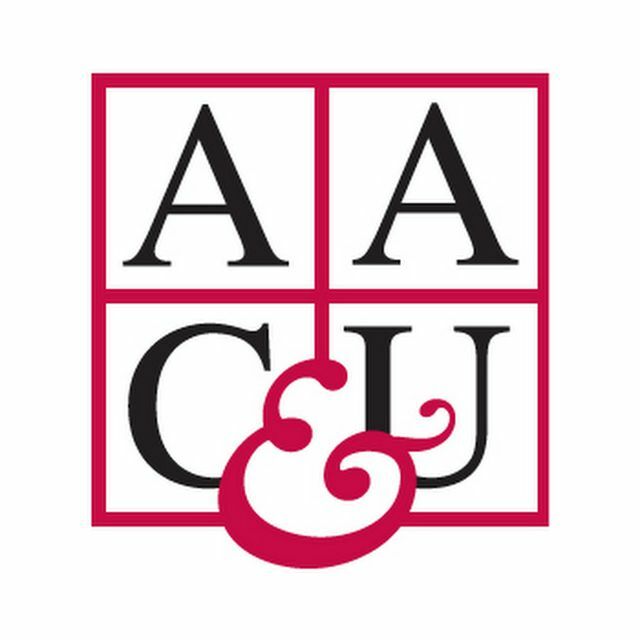 Now in its 103rd year of service to higher education, the Association of American Colleges & Universities (AAC&U) is leading the creation of THRT Campus Centers at higher education institutions across the country. Supported by grants from Newman’s Own Foundation and the W.K. Kellogg Foundation, the goal is to create 150 centers to ensure that the next generation of strategic leaders and critical thinkers are prepared for and focused on dismantling the belief in the hierarchy of human value. The funding supports a multi-year effort to implement the first ten TRHT Campus Centers, which will be designed to engage and empower campus and community stakeholders to break down racial hierarchies and create a positive narrative about race in the community. The TRHT Campus Center at ACC will examine the college’s own role in fostering unconscious racial hierarchies. The TRHT Campus Center at ACC hopes to move this healing forward by engaging the wider community in discussions to build more positive narratives and address lingering inequities caused by racial hierarchies. Brown’s TRHT Campus Center hopes to integrate racial healing circles through a variety of dialogue series that bring students, staff, and faculty together to discuss identity, race, gender, and the damage done by the racialization of religion and religious identity. The goal of Duke’s TRHT Campus Center is to strengthen the university’s position as a catalyst for change in partnership with diverse sectors on campus and within Durham to eradicate deeply rooted beliefs in racial hierarchies and disrupt persistent structures and impacts of racism. In its first year, Hamline’s Campus Center will focus on healing the on-campus community further through a series of healing circles and other narrative- and relationship-building activities. In its second year, the TRHT Campus Center will engage community partners. In the third year, the TRHT Campus Center hopes to enact larger structural and systemic changes to make Hamline a model for other universities to address tension and have difficult conversations. To help push the community further down the path of racial healing, Millsaps’s TRHT Campus Center will bring students, faculty, and staff together in cohorts with government officials, local community organizations, and constituents from nearby colleges and universities to participate in active learning activities that explore narratives of race and racism in Jackson, allowing them to develop a common vocabulary and knowledge base. The TRHT Campus Center at Rutgers–Newark is a collaborative effort led by the School of Public Affairs and Administration, the LGBTQ and Intercultural Resource Center, the Abbott Leadership Institute, and the Honors Living-Learning Community. It will initially focus on five activities to engage campus constituents and the wider Newark community: (1) story circles (adapted from Roadside Theater); (2) intergroup dialogues; (3) public art, including spoken word poetry and audio/video art (such as video interviews with Newark residents about the 1967 rebellion); (4) public access communication; and (5) youth leadership development. Spelman’s TRHT Campus Center will support programmatic initiatives including advocacy training, book discussions, a speaker series, and a collaborative leadership-development project in which ten undergraduate social justice students will engage in advocacy activities with the Atlanta community. Another project will be the continuation of Spelman’s Difficult Dialogues series, which brings students together from at least eight higher education institutions to discuss and navigate controversial issues. The TRHT Campus Center at The Citadel has four primary goals: (1) examining The Citadel’s historic role throughout slavery, Jim Crow, and modern civil rights efforts; (2) conducting conversations with alumni to strengthen their role in campus processes; (3) analyzing curricula to ensure they are inclusive of the diversity of individuals who contributed to the scholarship of various disciplines, often without recognition due to their race, ethnicity, or gender; and (4) collaborating with other higher education institutions and key community partner organizations to break down inequitable policies and practices stemming from racial hierarchies. The TRHT Campus Center at the University of Hawai‘i at Mānoa will bring students, faculty, administrators, and the local community together to leverage their kuleana (native Hawaiian for right, privilege, or responsibility) to protect and manage their āina (land or natural resources). The TRHT Campus Center at UMBC hopes to build a more positive narrative about race in the Baltimore metro area by (1) implementing a racial healing framework of training and reflection; (2) bringing youth and students into the efforts to effect racial healing and transformation; and (3) creating a diverse team of leaders and stakeholders from different age groups to expand healing and transformation across larger structures and systems. This text has been abridged from an article published in the January/February 2018 issue of AAC&U News, the monthly e-newsletter of the Association of American Colleges and Universities. The mission of the Association of American Colleges & Universities is to advance the vitality and public standing of liberal education by making quality and equity the foundations for excellence in undergraduate education in service to democracy.